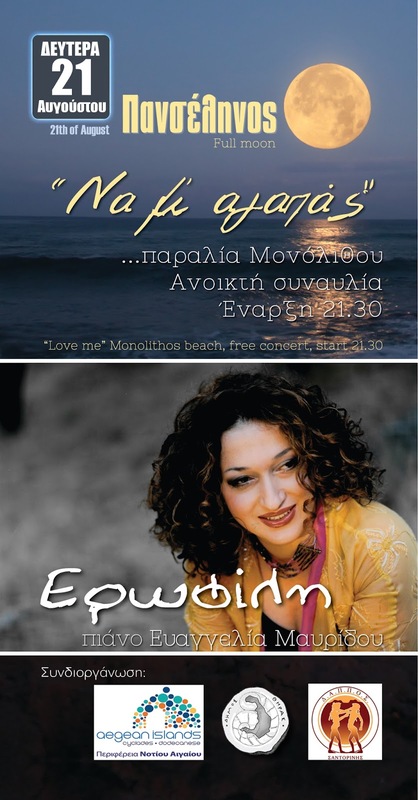 Greek singer Erofili, after many years of singing for Trifono band and now as a solo artist, comes to Santorini for an open concert at the beach. She is accompanied on the piano by Evaggelia Mavridou. At Monolithos beach, at 21.30. Free entrance.